Is Quest the Deal That Dell Needs Right Now? Dell, the struggling PC maker looking for a rebound as an IT services and software concern, finally landed the fish it not-so-secretly coveted when it announced a deal to pay nearly $2.4 billion for Quest Software yesterday. 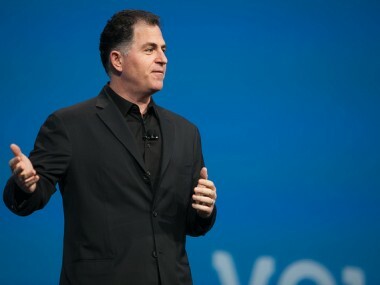 Shareholders initially voted thumbs down on the deal and yesterday sent Dell shares down by 1.2 percent. Today, the shares recovered as Dell rose by more than 2 percent and analysts weighed in, saying the deal might ultimately be good for the company. Analyst Chris Whitmore of Deutsche Bank Securities estimates that Quest will add as much as 7 cents per share to Dell’s earnings without being overly costly. “It appears Dell has sourced an asset at a reasonable value — about 2.5 times revenue — with attractive margin and growth characteristics,” Whitmore wrote in a note to clients. He also wrote that Quest may serve as the foundation for more deals by Dell in the enterprise software space. But Quest itself grew to the size it is largely through acquisitions, amounting to about $600 million over the last five years, eight of them last year alone. Rob Cihra of Evercore Partners wrote that Dell is “rolling up a rollup.” And that could prove tricky as Dell seeks to articulate a software strategy down the road: “Dell will still need to prove a cohesive software vision that is not just a jumble of products. … We see Dell taking on the challenge of trying to build out its new software identity by acquiring a company that seemed unable to fully figure out its own identity.” Even so, he estimated that Quest could add $1 billion in software maintenance revenue next year. And even though Quest may turn out to be a good acquisition in the end, Dell is still pretty far from finished with its transformation-by-acquisition process, making cash a priority, especially in light of the fact that it just decided to start paying a dividend. That’s what Shaw Wu of Sterne Agee worried about in a note to clients today. Since Dell generates only about 25 percent of its cash inside the U.S., it has been turning to debt markets to help pay for its acquisitions and other big cash needs, and its long-term debt-to-equity ratio has swelled to 62 percent. “Although management commented that it may be able to use non-U.S. cash along with debt to purchase Quest, in the long run it remains to be seen if its U.S. cash generation capability will be enough to fund acquisitions, investments, stock buybacks, and dividends,” Wu wrote.